"One for the World has an ambitious goal: getting business leaders to put their money where their mouth is. This initiative exemplifies the Wharton commitment to giving back." "One for the World is ahead of its time in recognizing that it's not only our moral duty, but also in our best interest, to help others. Ten years from now, leading business people will be donating in a considered manner on an ongoing basis." 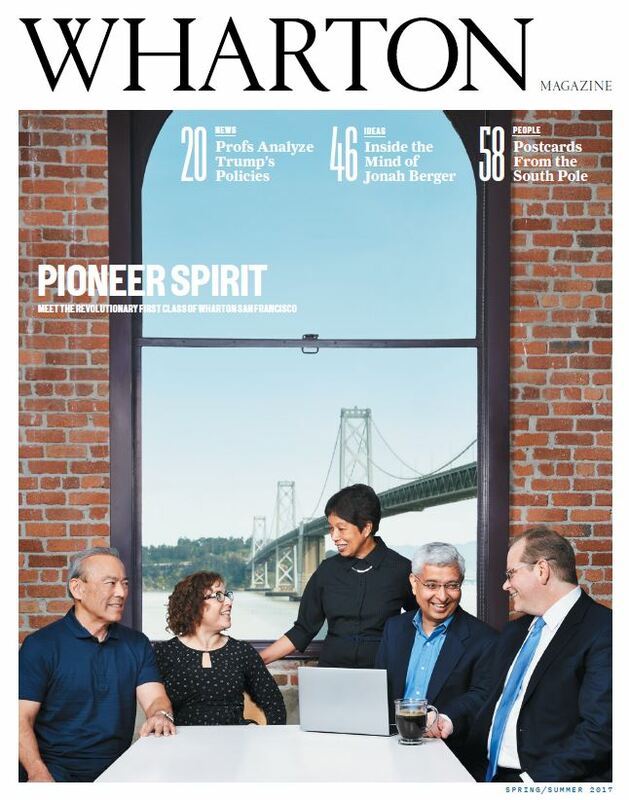 "Through One for the World, Wharton can become the leading business school in effective, meaningful philanthropy. Their portfolio of charities are transparent, cost-effective organizations providing life-saving services with proven results." "Through One for the World, Wharton is creating a precedent for young business leaders to give a proportion of their incomes to the world's most effective charities, thus laying down a challenge to other business schools around the world." - Benjamin Todd, co-founder and CEO of 80,000 Hours, an organization dedicated to helping people have the largest positive impact with the 80,000 hours of their career. "One for the World is about giving generously to organizations that make a powerful, demonstrable, and sustainable differences in the lives of the world’s poor. This initiative sets the bar high for leading business schools passionate about creating social impact, and shows that Wharton students and alumni are ahead of the curve in recognizing the importance of helping others." "Two seniors want their peers to give 1 percent of their salaries to charity"
"A Different Kind of One Percenter"